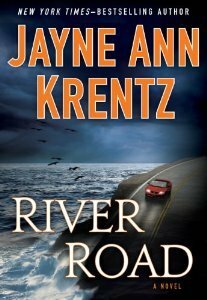 Today I'm featuring the opening paragraphs from River Road by Jayne Ann Krentz, an ebook that I borrowed from the library. I'm planning to read this as I commute back and forth to BEA later this week. "Who appointed you my guardian angel?" Lucy Sheridan asked. She was pissed--really, really pissed. But she was also thrilled. She was alone with Mason Fletcher, driving down a narrow, moonlit road. It should have been the most romantic night of her life--the stuff teen dreams were made of. But Mason had ruined everything by treating her like a kid who didn't know enough to come in out of the rain. First Chapter ~ First Paragraph #62 was originally published by Catherine for bookclublibrarian.com. This post cannot be republished without attribution.